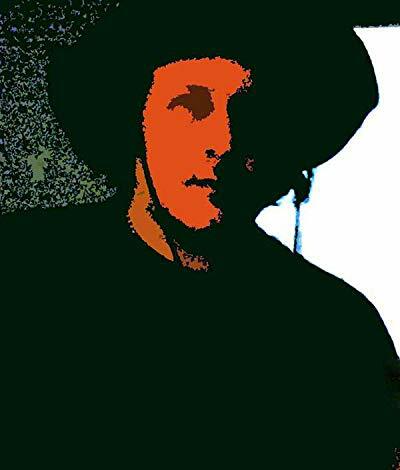 Poet, Painter and Musician T. Byron Kelly has been working as an active performance artist in the South Western Virginia area (Appalachia) for over two decades and has generations of family from West Virginia, Kentucky and Virginia. Live, spontaneous lyric poetry performances and gallery exhibits have been at the heart of the Poet's work. As an Undergraduate and Graduate student, Byron studied with poets Nikki Giovanni, Lucinda Roy, Grace Bauer and Anne Bromley, as well as novelist Don Secreast and painter Janet Niewald. Byron received private art instruction during that time and was also a member of Tri-M (Modern Music Masters honor society). Byron studied the relationships between poetry, painting and music and soon began to illustrate his own poems with paintings and put them to music as well. Byron has also taught creative writing and composition on the college level (currently at Pilot Mountain School and Solitude of Virginia Tech) and is a member of Studio Appalachia , Spectral Arts Band, Project Rainbow, Ghost House Collective, Dark Horse Appalachia, North/South Poets, Number Station Art, ​the Appalachian Writers Association (A.W.A. ), the Appalachian Authors' Guild (A.A.G. ), West Virginia Writers, the Virginia Writers Club, the XYZ Gallery (Blacksburg, VA.), Glencoe Museum (Radford, VA.) and the Montgomery Museum and Lewis Miller Regional Art Center (Christiansburg, VA). I paint poems and found a kind of home there> My paintings have always been rather cartoon like and fantastically oriented, a rendering of a dream if you will- I always thought (about realist art) that if you wanted a photograph then why not take a snapshot with a camera?